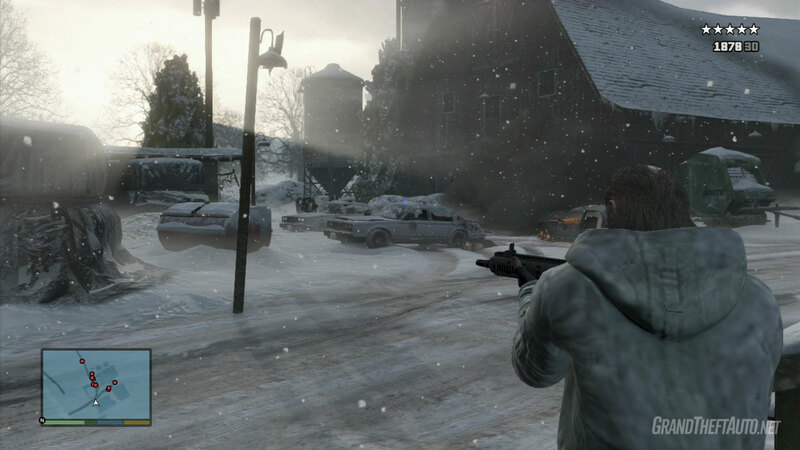 In 2004 we join 3 robbers, Michael Townley, Trevor Phillips and Brad Snider robbing a bank in Ludendorff, North Yankton. When you gain control, you will be playing as Michael. Just walk towards the open door in front of you. A short cutscene will be triggered. 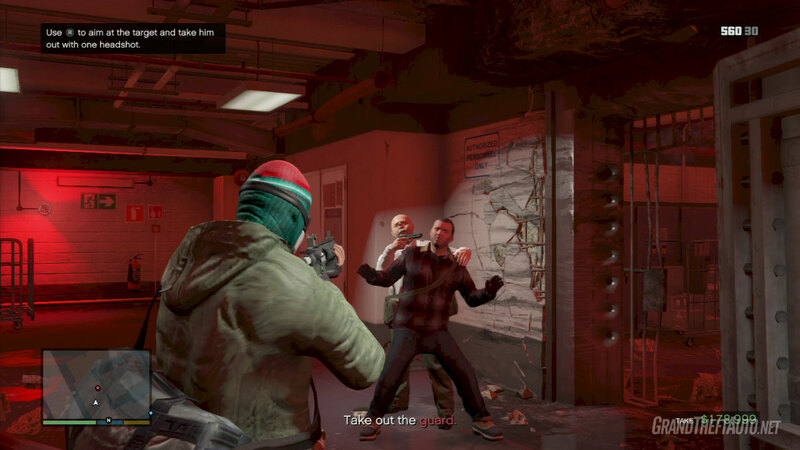 Following the cutscene, have Michael aim his gun at each of the hostages. They will move into the back room, and Brad will lock them in. While Michael was handling the hostages, Trevor wired destination charges on the vault entrance. Have Michael pull up his mobile phone and follow the instructions to detonate the charges. Follow the yellow blip and lead your crew into the vault, and collect the cash. 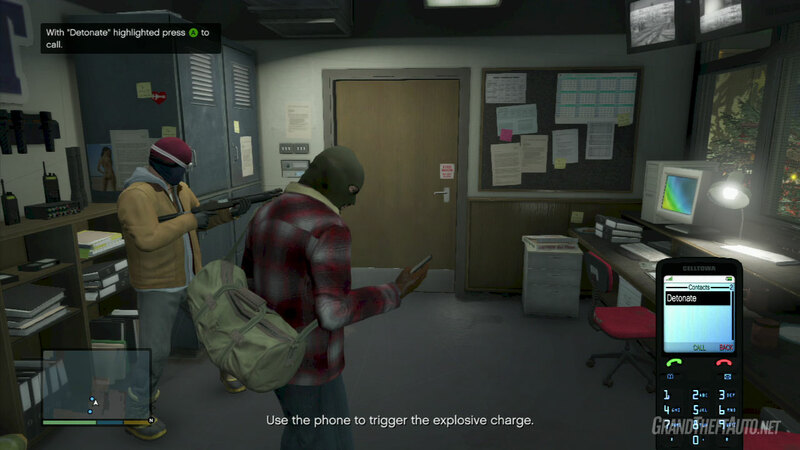 A short cutscene will be triggered showing Michael and Trevor stuffing the wads of cash into bags. 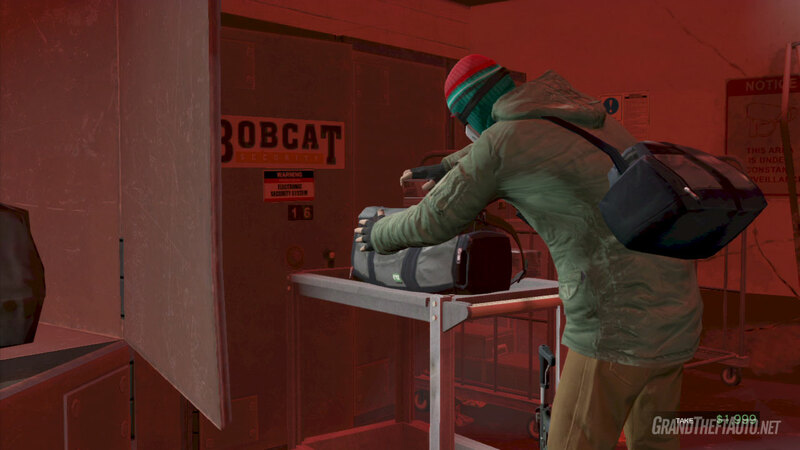 With the cash collected, follow Trevor out of the vault. 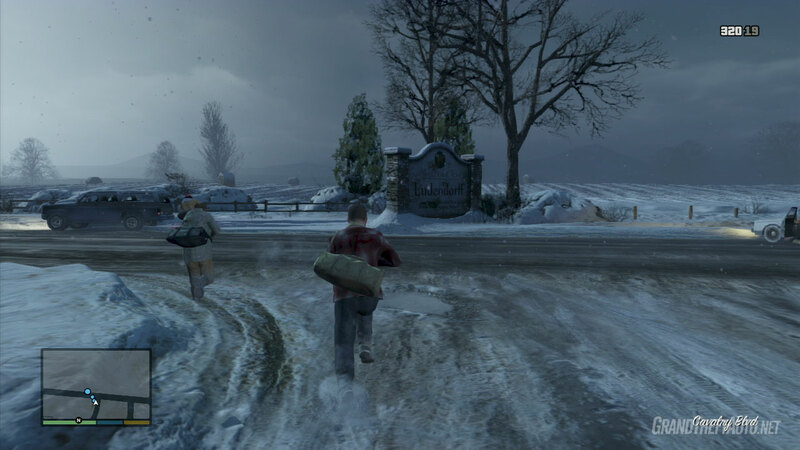 As Michael exits the vault, a short cutscene will be triggered in which a guard will emerge and unmask him, and take him hostage. 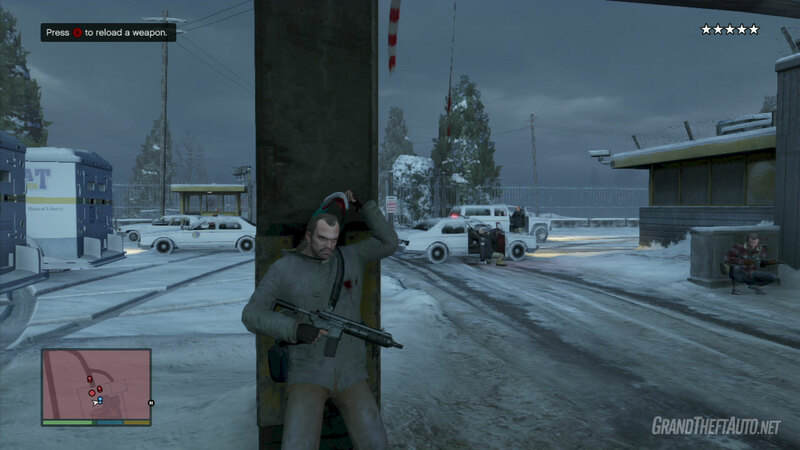 When prompted, switch to Trevor and take out the guard. With the guard down, follow your crew out of the vault. Take cover behind the boxes. Brad will set the charges to blow open the doors. The crew soon discovers that the cops are on their way. Follow your crew to the back exit. Trevor hits the switch to open the roller door, and a shootout with the cops will ensue so take cover. As Trevor, clear out the immediate area. 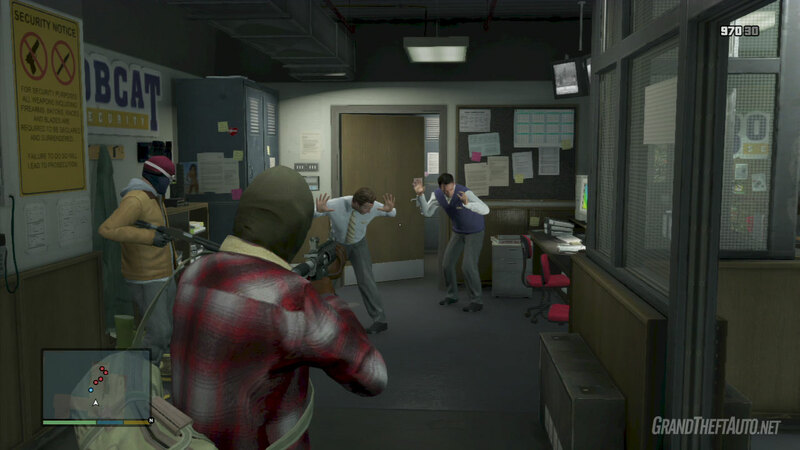 Once the first wave of cops is eliminated, you will be given the option of switching between Trevor and Michael. Switch as necessary and continue moving forward. Tip! Use the Cover system as needed to take out several waves of cops as you make your way to the car. With the last of the cops cleared, make a dash to the car. A cutscene will be triggered. 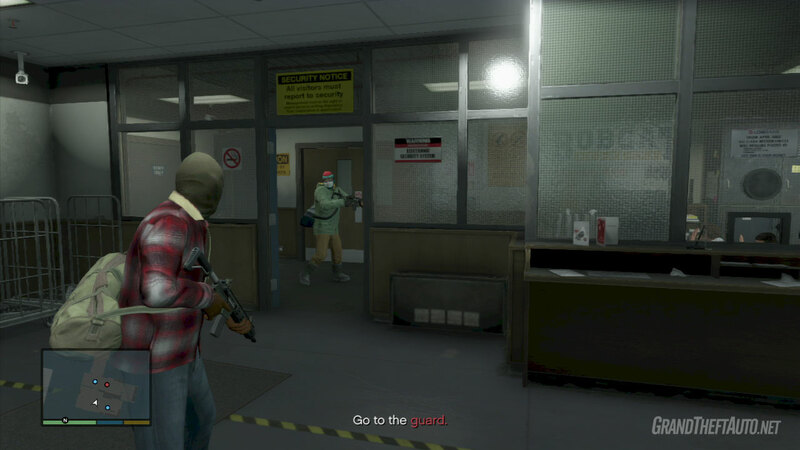 During the cutscene, a cop car will give chase, and shoot the getaway driver. Michael takes the wheel and rams the pursuing cop car into a tree, to the cheers of both Brad and Michael. Simply follow the road to the pickup point. Around half way to your location, cop cars will be seen travelling in the opposite direction towards where the heist just took place, but because they haven't made the car, they can be safely ignored. 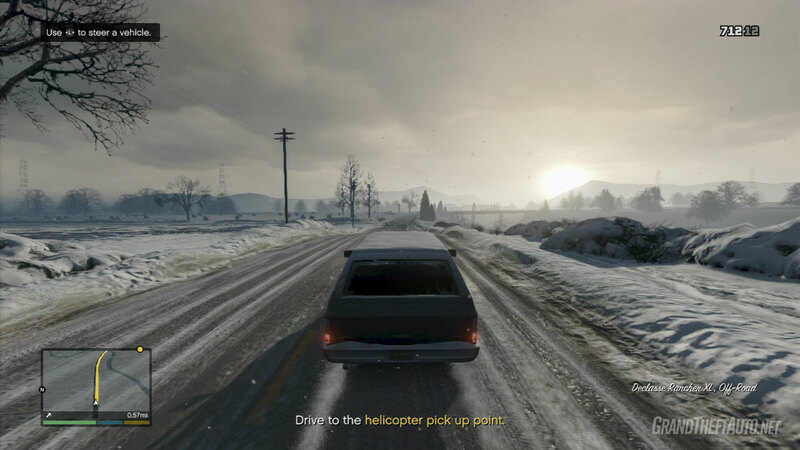 Continue driving and when you eventually hit a roadblock; turn right as per the advice Trevor gives and drive towards the train tracks, triggering a cutscene. Both Michael and Brad are hit by sniper fire. With his crewmates down, it is now up to Trevor to hold off the incoming waves of cops descending on his location. 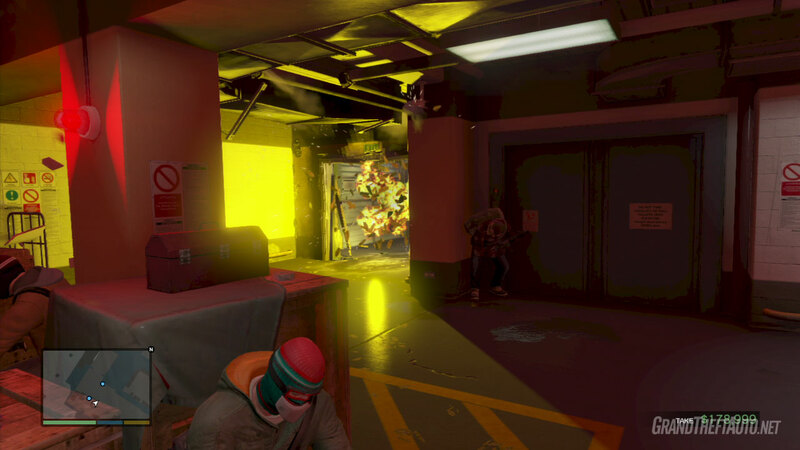 Take cover and eliminate them. Trevor will eventually become overwhelmed, triggering a cutscene showing him making a run for it, followed by Michael watching over his own funeral, and thus ending the mission, and going straight to the next. There are no gold medals for this mission.